A head injury is one that affects the brain, the skull, or the area between the brain and skull that helps protect the brain from injury. There are several reasons why a person may suffer a head injury, including violent criminal acts, falling debris, trips or slips and falls, and blasts or explosions, to name a few. Following trauma to the head, symptoms of head injuries range from dizziness, nausea, headaches, temporary loss of consciousness, confusion, slurred speech, fluid leaking from the ears, nose, or mouth, extended loss of consciousness, and death. Because of the sensitivity of the brain, head injuries can keep the sufferer from being able to work. When this happens, the head injury sufferer may be entitled to Social Security Disability (SSD) benefits from the Social Security Administration (SSA). It is advised to speak with a brain injury attorney in California in order to determine how strong your case is. Unfortunately for those with valid claims, the SSA is well known for denying applications for lack of proof or for improperly filled out sections. For this reason, anyone who is unable to work because of a head injury should speak with an experienced Los Angeles brain injury lawyer for help with the application process. 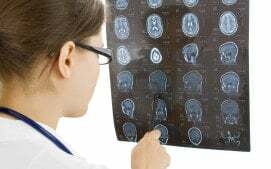 An experienced Los Angeles Brain Injury Lawyer will know exactly what needs to be done, the paperwork that needs to be filed in order to successfully be entitled to SSD benefits. Tony Adderley is well versed in the area of benefits law and has been an advocate for those who are unemployable due to physical or mental illness for several years. He is an experienced traumatic brain injury attorney who has been practicing as an injury lawyer in Los Angeles CA. He and his team of skilled legal professionals can help those who may be entitled to SSD benefits even if they have already been denied. Contrary to what they might think, an initial application denial is not the end of the road, and many who have been denied for coverage are able to subsequently win coverage once they prove to the SSA the existence of an injury and the inability to work. In order to be able to do that, it is advised to get in touch with a disability rights attorney in Los Angeles California. Part of the trouble with proving an injury and the inability of the sufferer to work are the SSA’s strict proof requirements. Fortunately, Los Angeles brain injury lawyer Tony Adderley knows exactly what the SSA is looking for in an application package and knows exactly what a person needs to do to produce adequate proof of an injury. Discuss your case with a Los Angeles Brain Injury Lawyer to determine the validity of your case. Schedule a Free Consultation with a brain injury attorney in California by calling The Law Offices of Tony Adderley.